While most New Orleans weddings receptions last three hours and feature a buffet style meal, I do sometimes shoot celebrations that have cocktail hours and traditional seated dinners with longer receptions lasting four hours or more. When designated seating is being utilized, one popular way to designate tables is by use of personalized replica street signs, with each table carrying the name of a famous New Orleans street or neighborhood. 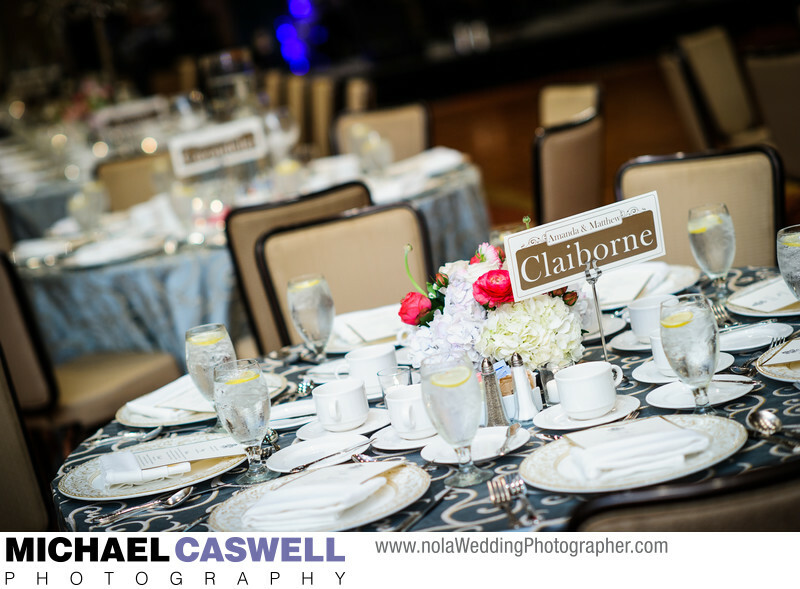 This elegant event took place at the Royal Sonesta Hotel located on Bourbon Street in the French Quarter, and was coordinated by Unique Weddings in New Orleans.